First, click Trackers, and then select your tracker. In your tracker, click on the title of the standard that contains the assessment for which you want to view reports. For a single-standard assessment, hover over the assessment title and select Reports. For a multi-standard assessment, you’ll first have to click on the assessment title, and then click on the orange menu button and select Reports. 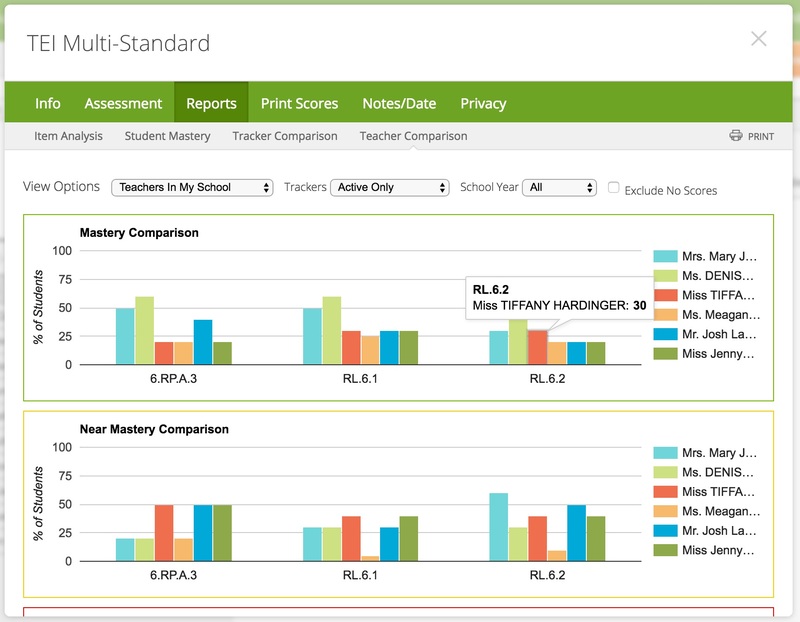 In the Report dialog box, click Reports and then click on Teacher Comparison tab. To print the report, click on the Print button in the top right corner.